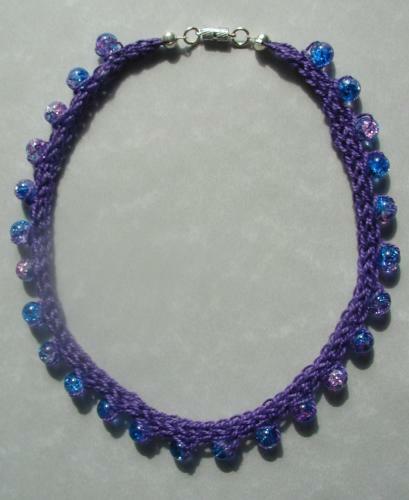 In this necklace the beads are threaded beforehand and incorporated with the knitting. They sit round the edge of the necklace. Kit includes 10 yds lurex 4ply, 27 8mm beads, threading needle, magnetic fastening and instructions (with instructions for necklace 4 - beads round both edges & 5 - beads in braid forming a square). Beads will vary according to availability. Required - Knitting spool, scissors and PVA glue.